The disappearances, and torture, can sadly be laid at the doorstep of the United States. 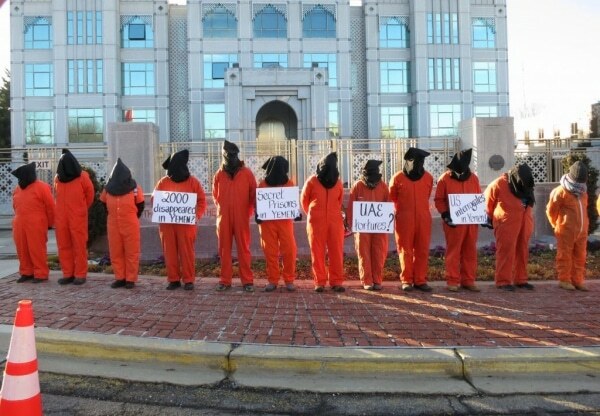 Image: “Witness Against Torture activists protest at the Embassy of the United Arab Emirates on January 9, 2018,” by Witness Against Torture. Submitted with article. A version of this article initially appeared in July 2018 in Voices for Creative Nonviolence.